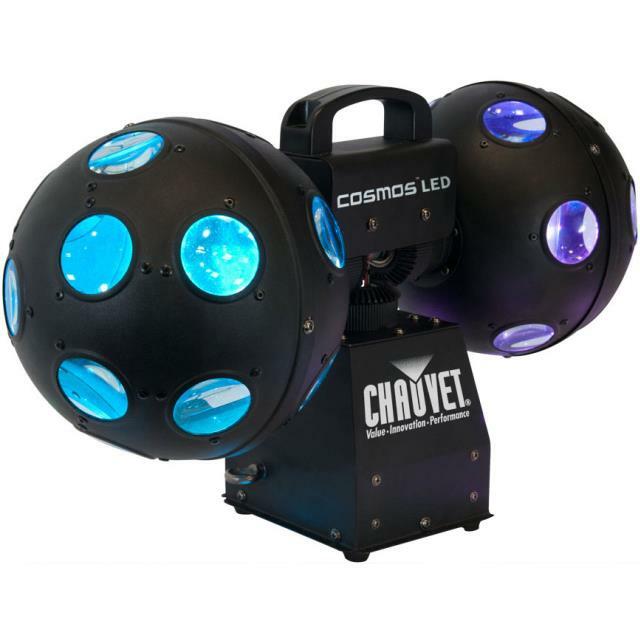 Plug and play rotating ball effect features tri-colored LEDs with adjustable speeds for continuous rotation. Rotates 360 degrees. The use of a fog machine will make the individual beams of light visible throughout a room. * Please call us with any questions you may have about our twin cosmos led light rentals/sales in State College, serving Central Pennsylvania.